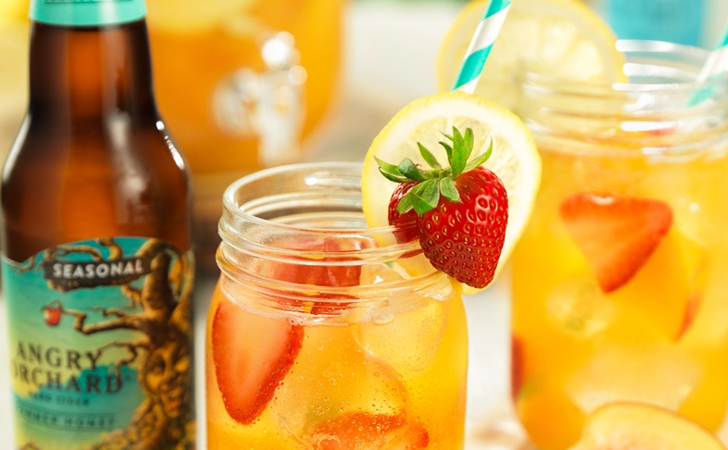 It’s time to let loose and keep your body hydrated with these unique cocktails. They’ll make you want to find any excuse to throw a barbecue. Just keep it classy, and we guarantee you’ll trick everyone into thinking you’re an experienced bartender. Pour rosé into a 13×9″ pan and freeze until almost solid, about six hours. Bring sugar and ½ cup water to a boil in a medium saucepan; cook, stirring constantly, until sugar dissolves, about 3 minutes. Add strawberries, remove from heat, and let sit 30 minutes to infuse syrup with strawberry flavor. Strain through a fine-mesh sieve into a small bowl; cover and chill until cold, about 30 minutes. Scrape rosé into a blender. 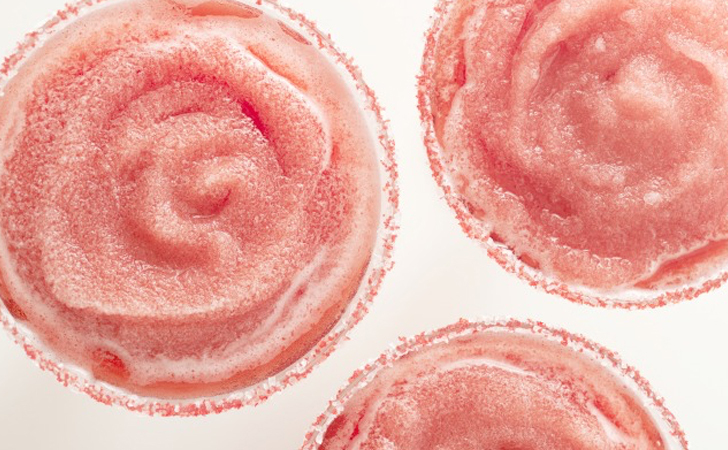 Add lemon juice, 3½ ounces strawberry syrup, and 1 cup crushed ice and purée until smooth. Transfer blender jar to freezer and freeze until frosé is thickened, about 25 to 35 minutes. Blend again until frosé is slushy. Divide and enjoy. Add all ingredients into a punch bowl with ice cubes. Garnish with orange slices. 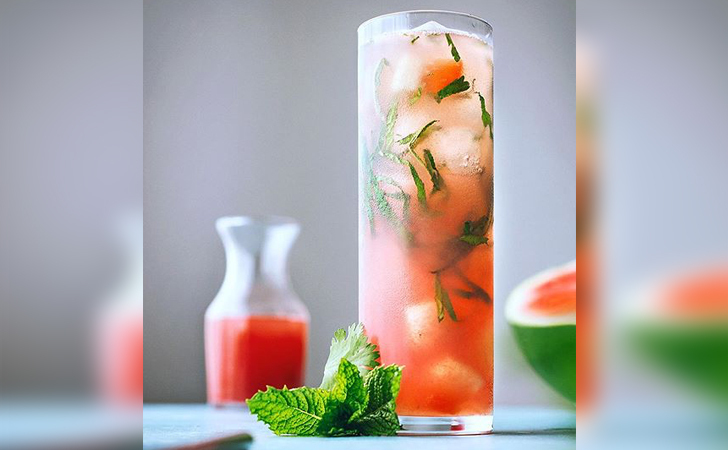 In a rocks glass, add watermelon schnapps and cranberry juice over ice, then carefully add lemon, simple syrup, and vodka to create the white layer. 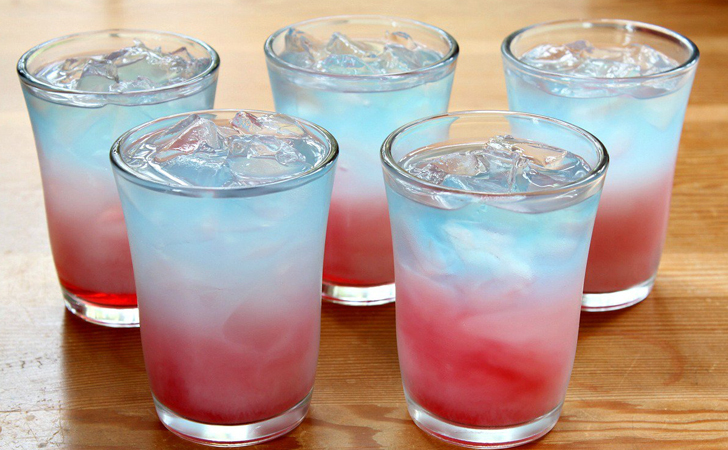 Then VERY carefully layer the Blue Curacao to create the color separation, and gently top with soda. Garnish with fresh watermelon pieces. Add white rum and pineapple juice to shaker. Add ice. Stir and strain into a chilled rocks glass. 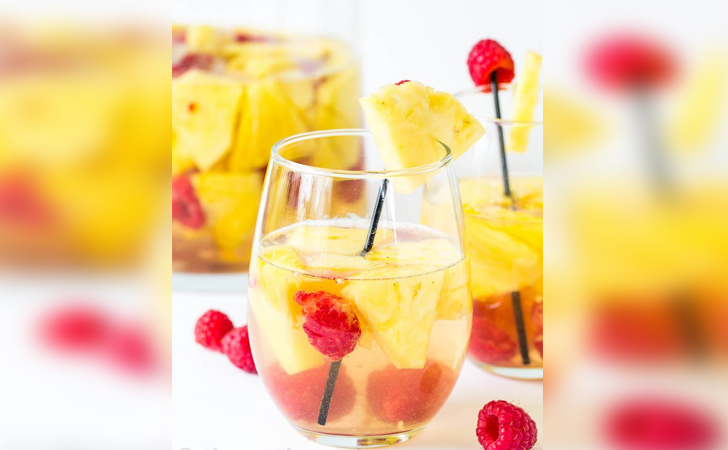 Top with Sparkling Ice Coconut Pineapple. Garnish with pinch of nutmeg. Pour 1 shot of gin into a tall glass. 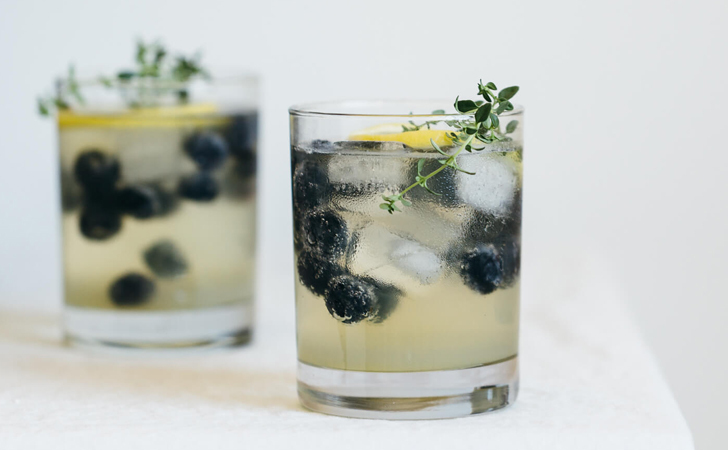 Add a pinch of mint, fill the glass with ice cubes and top with the Belvoir Organic Elderflower Lemonade. 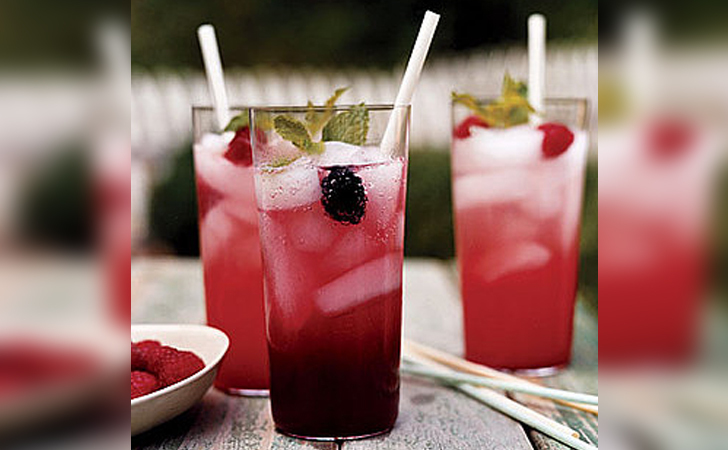 Give them a quick mix with a spoon and garnish it with a couple of berries. 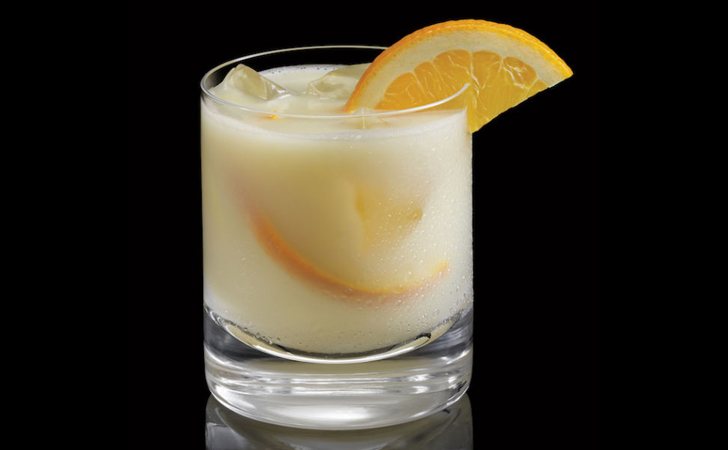 Add all ingredients into a mixing glass, excluding seltzer and shake vigorously. Add seltzer and double strain into a tall glass over ice. 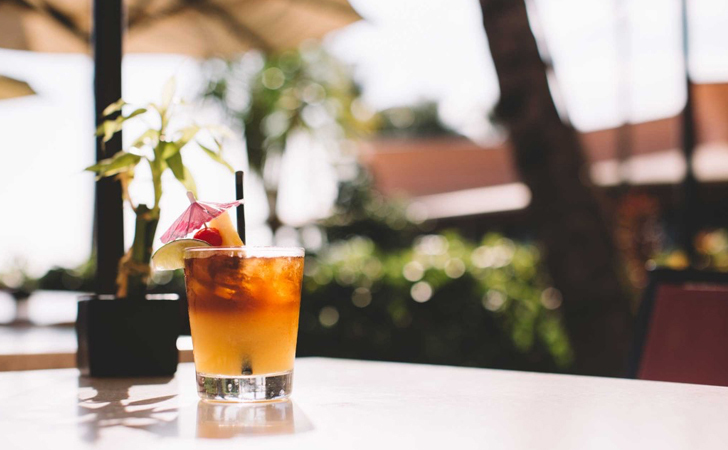 Garnish with a watermelon wedge and rim the glass with sea salt. Muddle about six raspberries with a mortar and pestle. Place into glass with frozen pineapples (used instead of ice). Pour equal parts wine and soda into the glass and stir. Proceed with water gun fight in backyard. Don’t forget to SHARE with all of your alcoholic friends on Facebook!